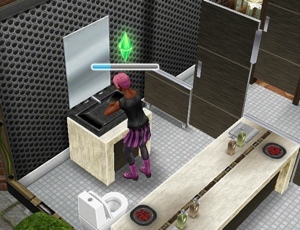 To tidy up you need to click on the sink in the kitchen and select keep cleaning dishes- 10 hours, this sim will then collect and wash up all dishes. 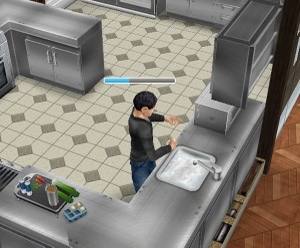 Once all dishes have been cleared away they will stop the action. 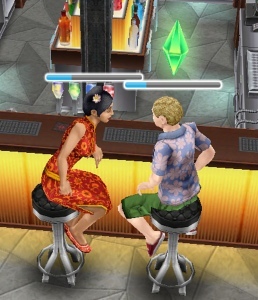 What else can you do at the restaurant? 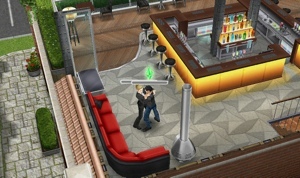 You can order a drink from the rooftop bar, to do this you need a sim to tend the bar for 20 minutes and then a sim can order a cocktail, this will cost you 2500. 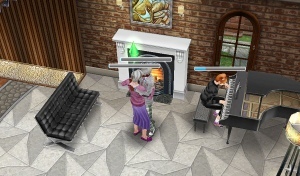 Cocktails will inspire your sim (fulfil their needs) By the piano downstairs and upstairs near the sofa you can close dance for 10 minutes with another sim and the piano can be played at the same time! 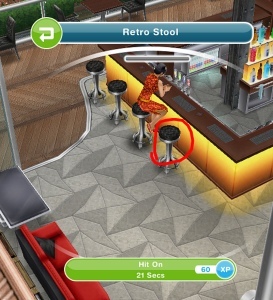 You can also build a romantic relationship up fast by clicking on the stools, one sim selects the option scope room and the other sim selects the other stool to hit on. Thanks Brett for this image! Great blog! 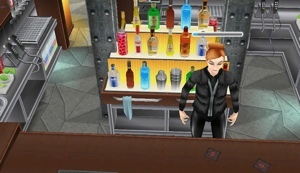 Can I use a dishwasher in the restaurant to clean the plates? 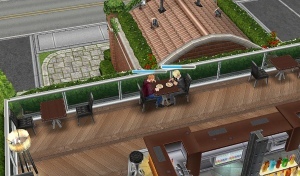 I’ve been playing this game for two years and finally decided to have two sims have a romantic meal! Serving for 10 hours has been daunting. 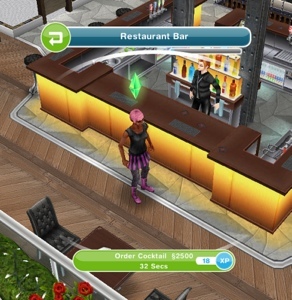 Cooking in the restaurant might be a way to stock up plates for diners as well as collect LPs, instead of simply cooking and demolishing plates. 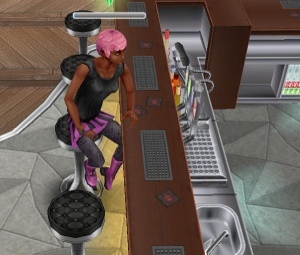 Will the plates spoil if I leave them until I use the restaurant? 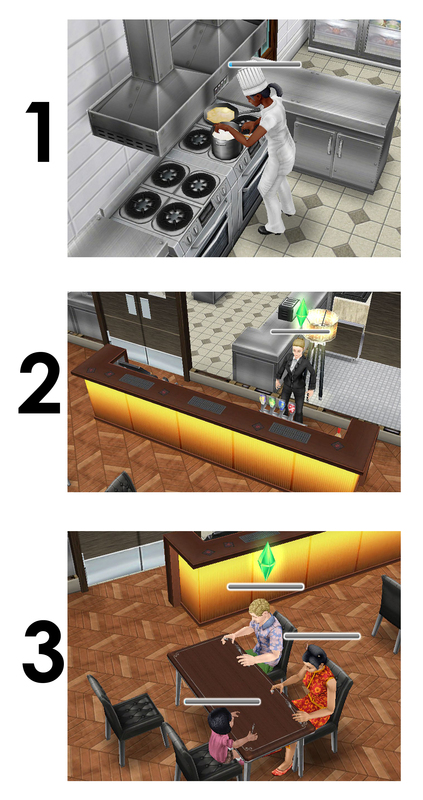 Can I use more than one cook at a time? Thanks for keeping this blog going. You’ve helped me a lot.